These native shrubs produce a slightly astringent berry that the Europeans cultivate for use in fruit juices. 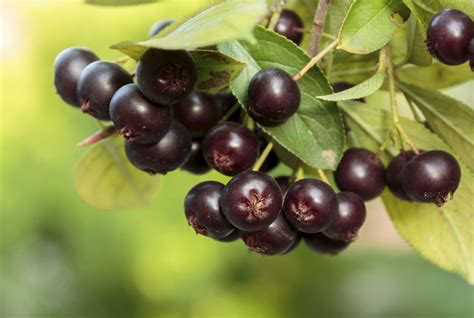 Although it has remained virtually unknown in North America, (no thanks to its unfortunate name) chokeberries are very high in nutrients and are an excellent addition to the home garden. They bear quite well in a shady spot, so are good companions to fruit and nut trees. We eat the fruits raw, normally in fruit salads or in oatmeal, or cooked, and they do make an excellent juice.